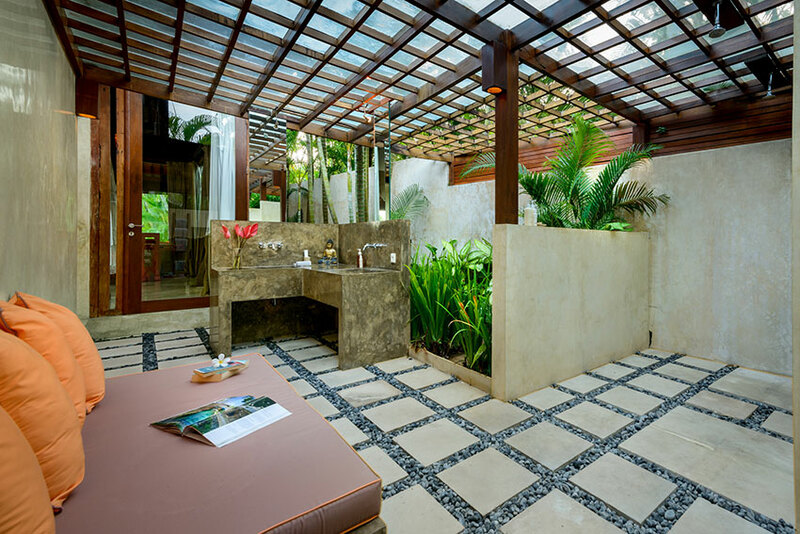 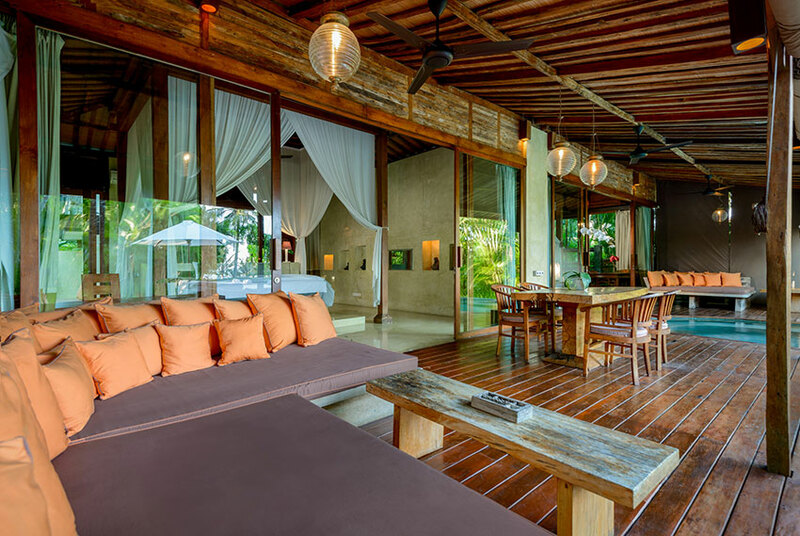 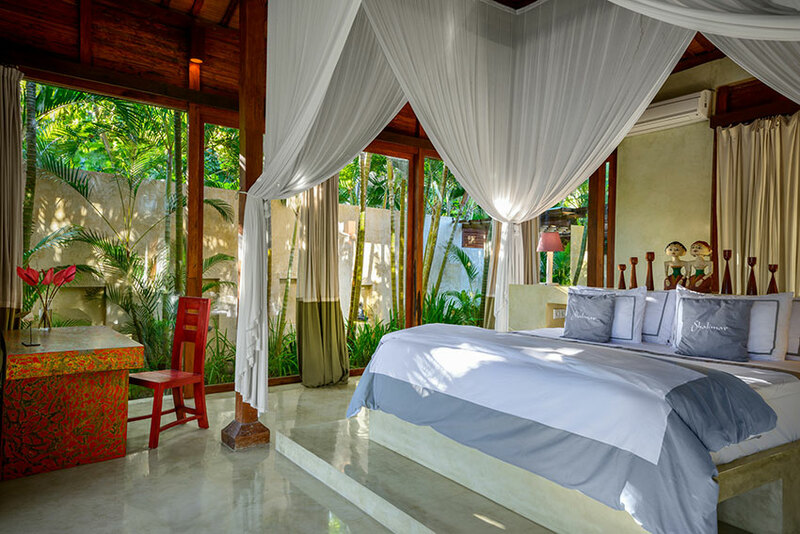 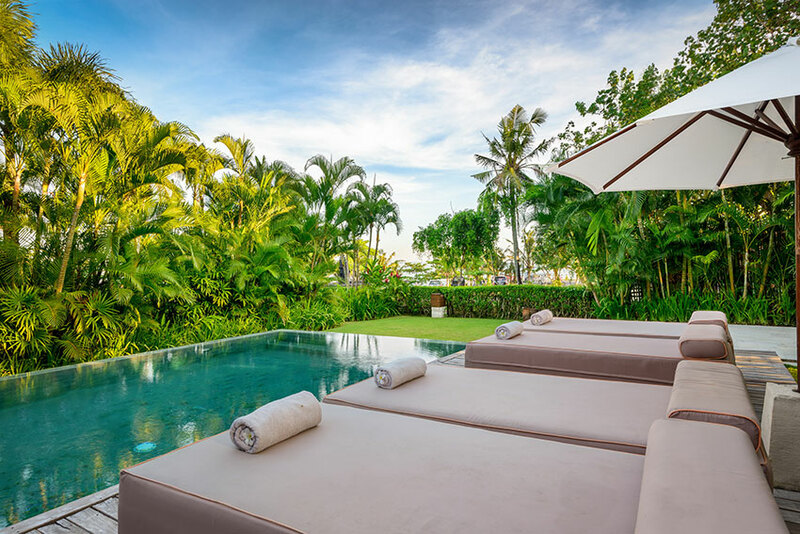 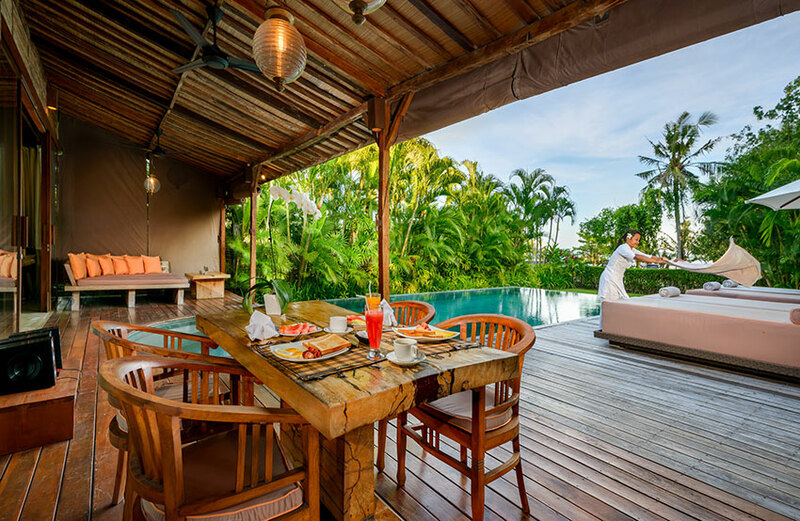 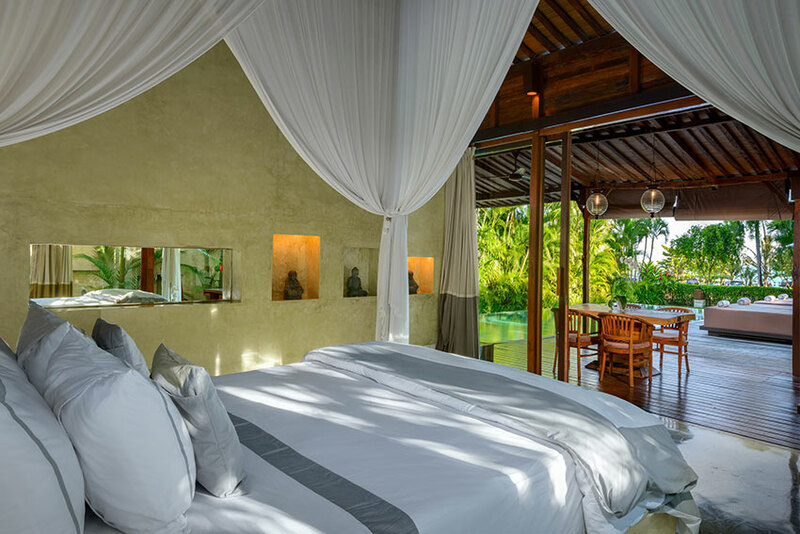 This 2 bedroom villa Cantik has been named ‘beautiful’ in the Indonesian language and it simply does not disappoint. 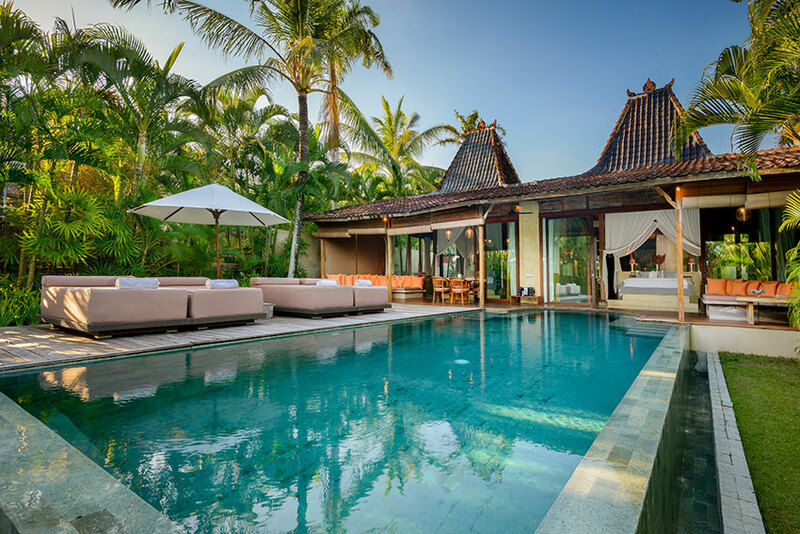 Spread across two authentic pavilions which contain the bedrooms and fronted by a spacious outdoor living area, all eyes are naturally drawn to the crystal clear waters of the swimming pool and on across the expansive lawn and down to the idyllic sands of Seseh beach, this is a place where dreams are made. 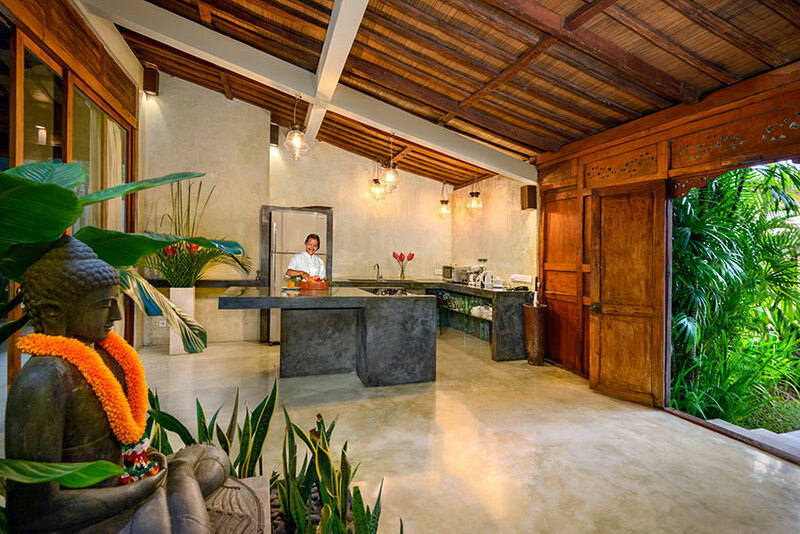 Styled throughout with a deft minimalist hand this property lets the bewitching allure of the location shine through. 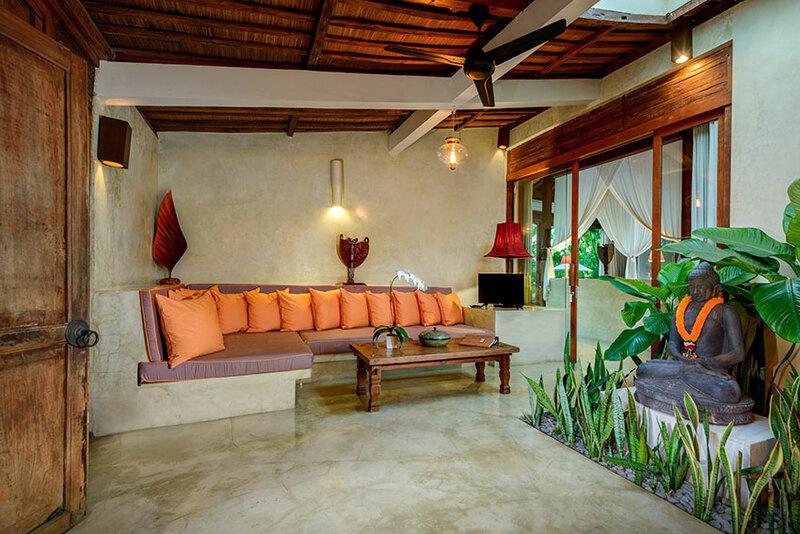 The dining table (seats 6) rests under roof cover located on the pool deck.